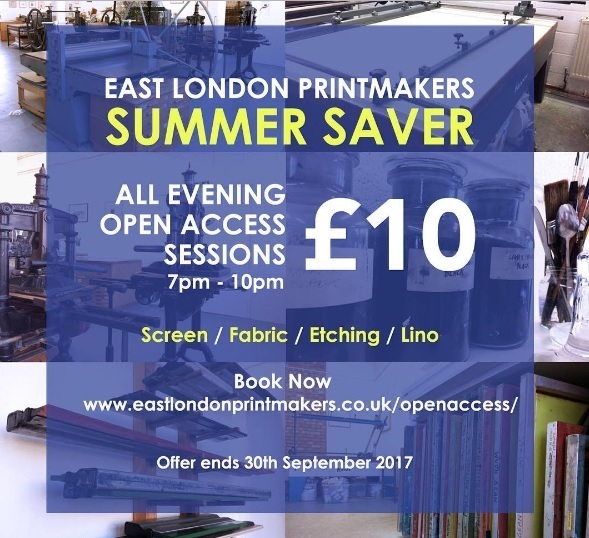 East London Printmakers is pleased to announce its latest summer deal, the Summer Saver. You can now book any evening Open Access session for just £10. 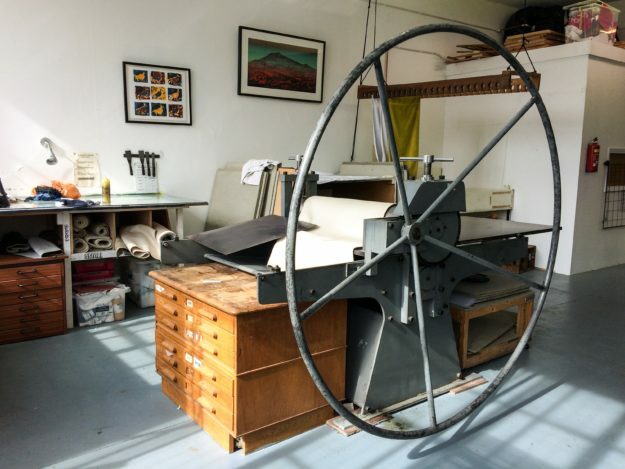 The session will run from 7-10pm and offers you the opportunity to use any of the Screenprinting, Etching or Lino facilities. This offer will run up until the 30th September, so to take advantage, please visit our Open Access booking page to secure your sessions now.